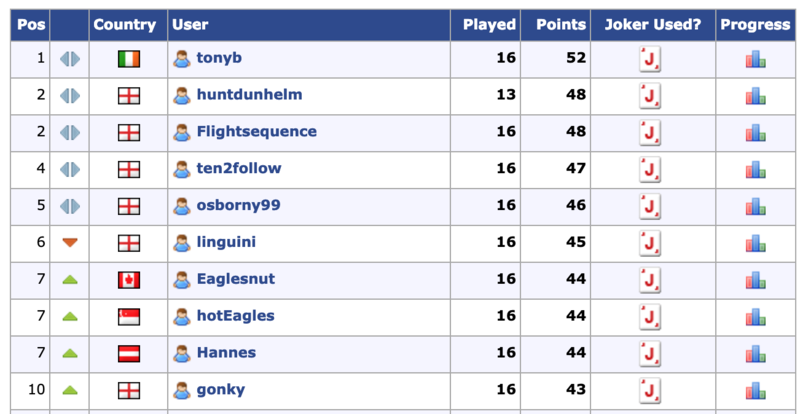 Congratulations to tonyb who wins the second Prediction League of the season with 52 points. The 3rd and final Prediction League of the season started with the Fulham game today - get your predictions in for the next few games of the season! Cheers boys.. won it once about 10 years ago..
Great to get the win too..